CHICAGO, March 18, 2019 – Intel Corporation and the U.S. Department of Energy (DOE) will deliver the first supercomputer with a performance of one exaFLOP in the United States. 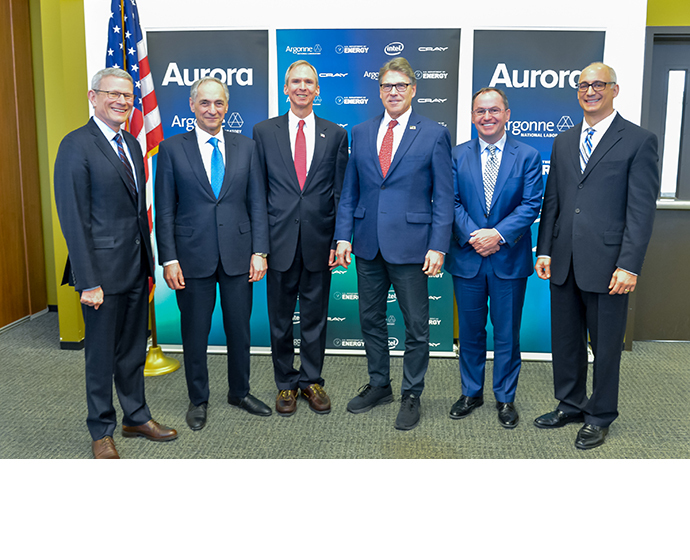 The system being developed at DOE’s Argonne National Laboratory* in Chicago, named “Aurora,” will be used to dramatically advance scientific research and discovery. 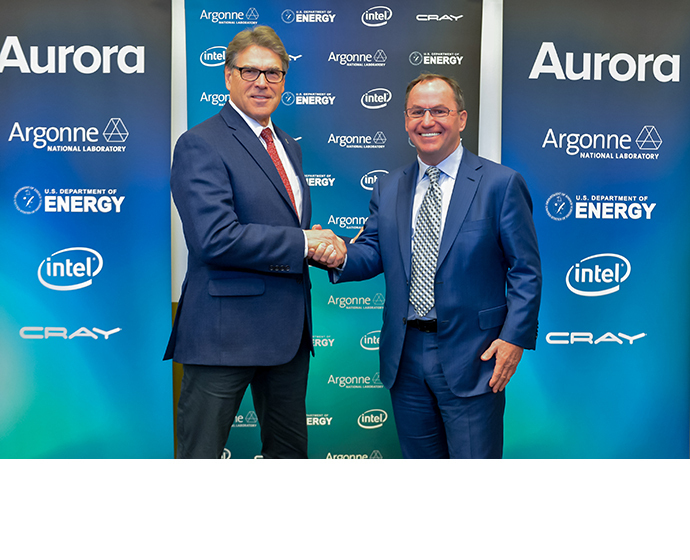 The contract is valued at more than $500 million and will be delivered to Argonne National Laboratory by Intel and sub-contractor Cray Inc.* in 2021. 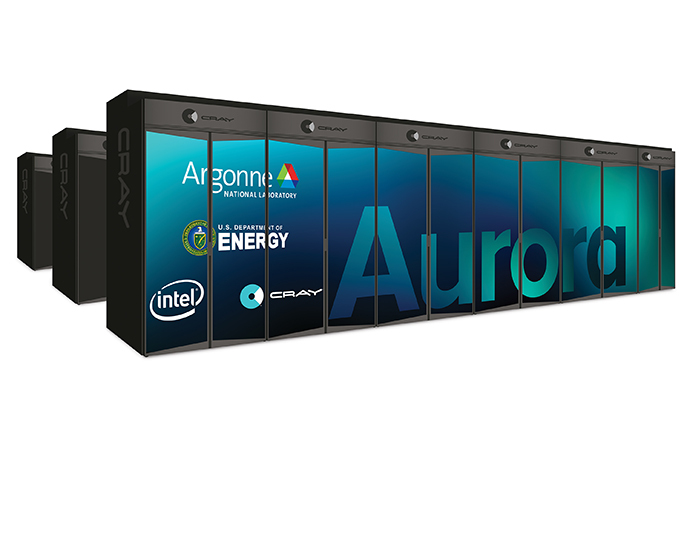 The Aurora system’s exaFLOP of performance – equal to a “quintillion” floating point computations per second – combined with an ability to handle both traditional high-performance computing (HPC) and artificial intelligence (AI) will give researchers an unprecedented set of tools to address scientific problems at exascale. These breakthrough research projects range from developing extreme-scale cosmological simulations, discovering new approaches for drug response prediction and discovering materials for the creation of more efficient organic solar cells. 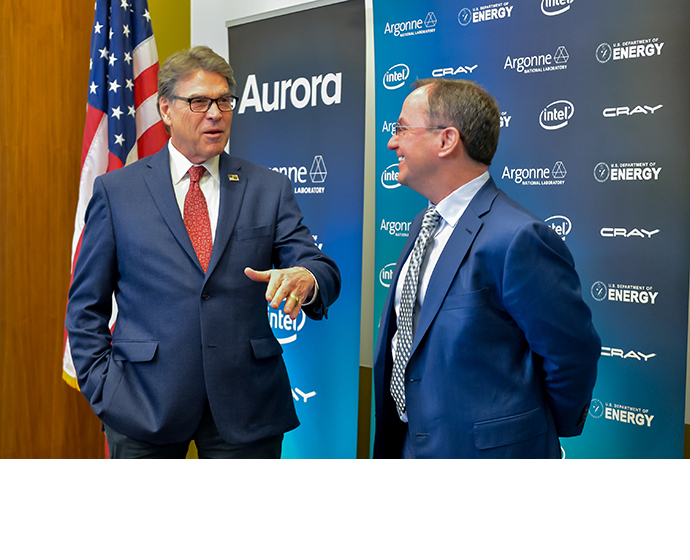 The Aurora system will foster new scientific innovation and usher in new technological capabilities, furthering the United States’ scientific leadership position globally. The foundation of the Aurora supercomputer will be new Intel technologies designed specifically for the convergence of artificial intelligence and high-performance computing at extreme computing scale. These include a future generation of the Intel® Xeon® Scalable processor, Intel’s Xe compute architecture, a future generation of Intel® Optane™ DC Persistent Memory, and Intel’s One API software. Aurora will use Cray’s next-generation supercomputer system, code-named “Shasta,” which will comprise more than 200 cabinets and include Cray’s SlingshotTM high-performance scalable interconnect and the Shasta software stack optimized for Intel architecture. For information about the work at DOE’s Argonne National Laboratory visit its website.